I do, and I miss you Nancy! Awwww PG I missed u too;-D!!! Eh which tag....is there a tag with starts with err;-o.
Errrr good to see a goofy grin :D bhelcome back!!! Did you see Preeti's post today ?? You are being drawn back. I do..! And Miss u ! Please come back ! Where have you been all this while. I keep checking my blog list everyday just to see some post on your name. And today I was like wow.. And as always the pic made me smile. Do post the usual nancy posts. Missing them so much. hey you....long long time...hope uve been doing great! welcome back! !....missed your posts for sooo long!! WHO IS THIS testing the waters. I am not going to welcome you!!!! Because you ARE here already! Welcome back and I hope you are here to stay- sure do miss your updates. You dare to ask me that question? Are you satisfied with a couple of us loonies swooning over your donkey pic? Doesn't it show how much we missed you? sobs...I even put thoughtful missing comments on your FB wall na? No issspecial mention of all that love? sobs...now where is the post? Uma: Doing good, thank U. So sorry I havent replied back ur mail, will do soon. Amrita: I'm banking on it;-D!!! Anon: Thank U, but u forgot to write ur name;-)!!!! Maddy, long time, how have u been;-D???? Wanderlust: No, no, no....never u;-D!!!! remember you and miss you. cmon start writing woman.. plaz! goofy donkey ! !like like...hmm nancy have thought of u n ur 2 girls very often..m too on a loooong break n jus stopped by tday..just..n saw the goofy guy..waiting fr posts about ur girls.. So happy to see you back!!! Some of your loyal fans are still waiting for you to make a comeback!!! Where art thou????? 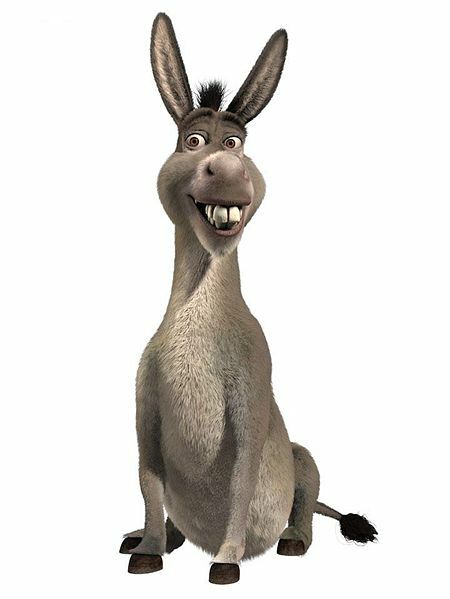 Sunshine: He's just not any donkey;-o!!!! And yeah it feels good to be back;-D.
Scribble: Huh look who's talking;-/. Agnes: Yep...if it can be called tht;-D.
MySpace: Good to hear from long-lost blogdosts;-D. It will be gr8 if u get back too:-). Dil Se: As of now hoping to stay on top of things but knowing me....;-P. I missed u all too!!! 2nd Anonymous: Are u the 1st anonymous commenting again as the 2nd anonymous....how will I know if u dont put ur name or atleast an initial;-(. And yes I'm happy to be back too:-)!!! Prabodh: Ofcourse I remember u....yae bhi koi poochne ki baat hai;-o???? nancy, nancy you are killing me:-)) just come back already! Lan: Hehe.....okkkk jes gimme 2 minutes or make that 22 minutes;-D!!!! Better Expressed than a post..!!! lol... Welcome Back! !